My view: Yes in the sense that it covers most of the issues that EU citizens are concerned about. No in the sense that it is formally delimited to foreign and security policy. Yes, again in the sense that the Lisbon treaty provides a very broad scope to this definition. No, finally, in sense that there is a legitimate worry that the strategy will not be well linked up with internal security, with the Commission and most of all with member States. For that a lot of work has to be done. Read more about that below!. 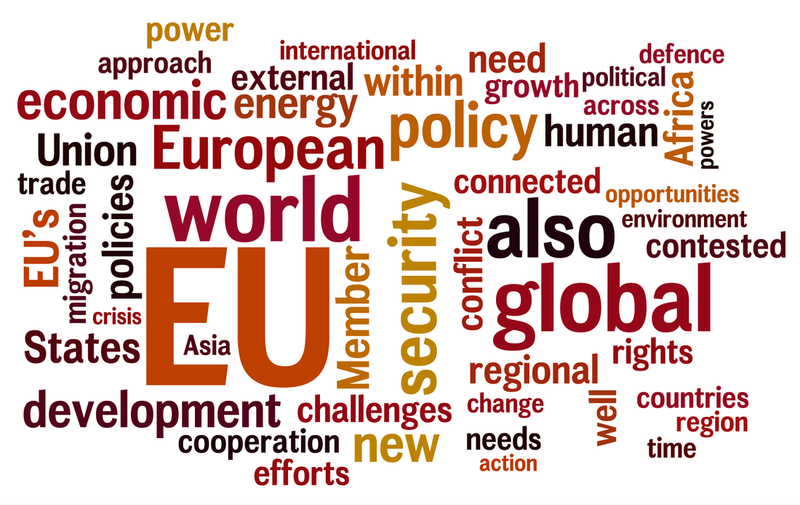 How do you understand the status of the #EUglobalstrategy document presented at #EuCo 28 June? 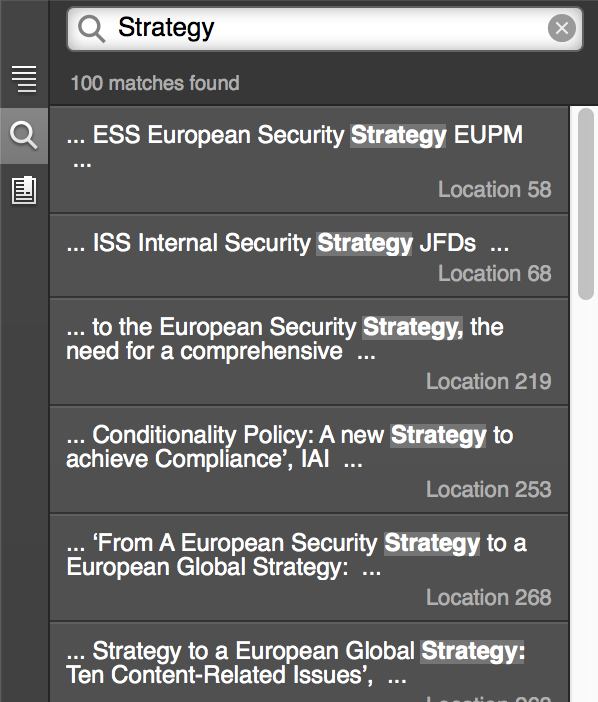 From 4000 words in 2003 (ESS) to 15000 words in 2016 (#EUGlobalStrategy) A need for negative priorities and focus? 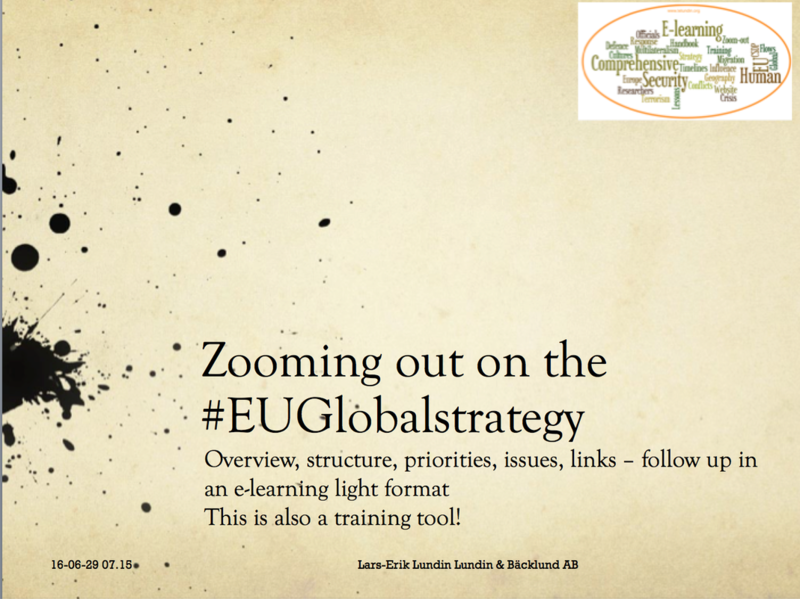 Do European institution staff need more training to be able to implement the #EUGlobalstrategy? Gymnich in Amsterdam: implement, implement, implement. Also scenario-based exercise among ministers about possible crises ahead. 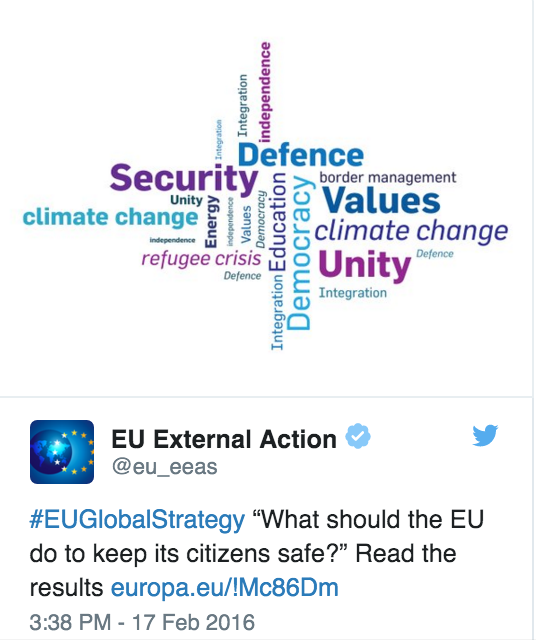 #EUglobalstrategy + #EUComprehensiveapproach = Action? Or are further substrategies urgently needed? Do you consider the #EUGlobalstrategy consultation should focus on the review of the European Neighbourhood policy? Do you see a clear link between terrorism and the refugee crisis - or is it very complicated requires slow thinking? What is most important after Paris? How can we alleviate many security and development problems by focussing on key root causes? Examples: inequality, corruption. Media and political leaders need to focus on the crisis of the day Need for a comprehensive approach learning method. #EUglobalstrategy. #EUGlobalStrategy will need to include negative priorities. Useless to say what to do if no clarity on that in an era of finite resources. 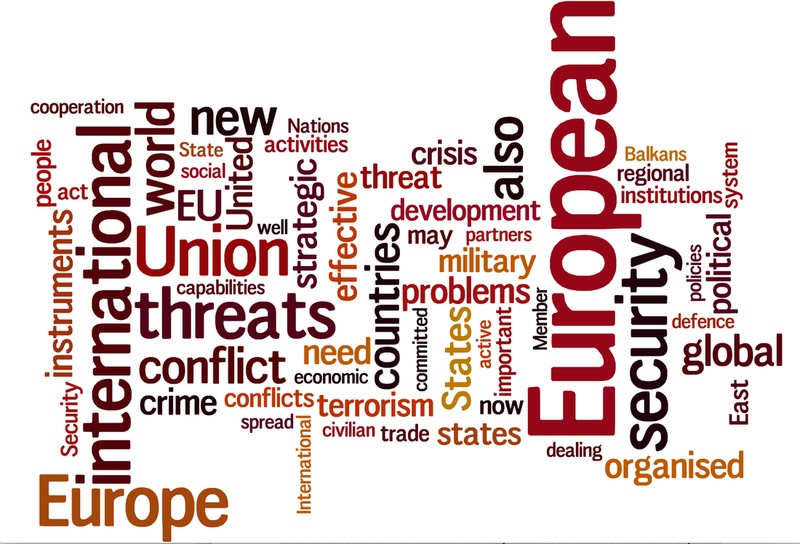 Towards an #EUGlobalStrategy: Analyzing the EU Strategic Review in context, topic by topic, on http://t.co/QFNkgLtm1e over the coming days. My comment to Missiroli/EUISS and FIOTT/Eurostrategy: Agree with Fiott that comprehensive approach requires prioritization. "Multi-" cannot be enough to focus efforts. But focus should in the case of the EU be on opening doors. This is the key gap for the foreseeable future. The Iran case shows that the EU can do a lot. #EUGlobalStrategy: #ComprehensiveApproach vital policy framework to link internal & external #security in areas like #migration #CT #CVE. INCLUDING MIGRATION, TRAFFICKING, ENERGY, CYBER AND OTHER FLOWS? WHO WILL STEER (MOGHERINI ALONE?)? 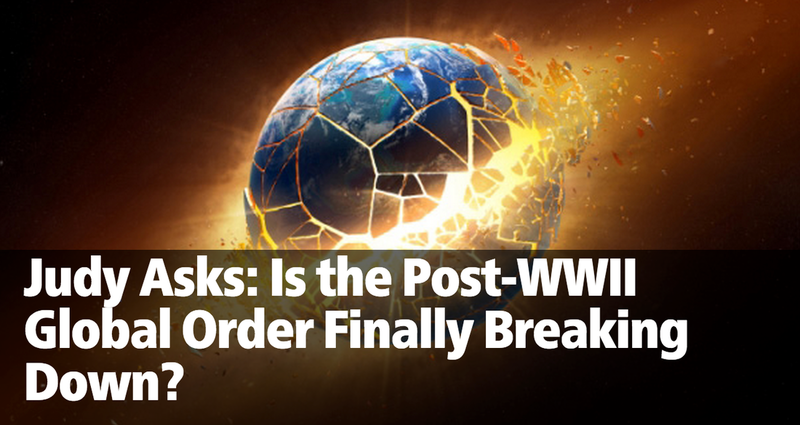 WILL THE FUTURE STRATEGY REALLY BE GLOBAL? WILL IT REALLY BE OPERATIONAL? WILL THERE BE A CHANCE FOR PUBLIC PARTICIPATION IN THE DEBATE?